(Theatre, Films , TV Actor & Founder) - Actor Studio India)He has been trained by some of the finest theatre professionals and faculties of the best acting training institutions In The World; like Whistling Woods International Institute (WWII), National School of Drama(NSD), Film and Television Institute of India(FTII), London Academy of Music and Dramatic Art(LAMDA), The Lee Strasberg Theatre & Film Institute etc . He specializes in various “Method Acting Pedagogy” and theatre techniques such as Michael Chekov (Russia), Lee Strasberg (America), Jacques Lecoq Pedagogy (Paris), Stanislavski (Russia), Uta Hagen (America), Sanford Meisner (America) etc . He has been actively involved in various theatre approaches, styles & techniques for more than 15 years . 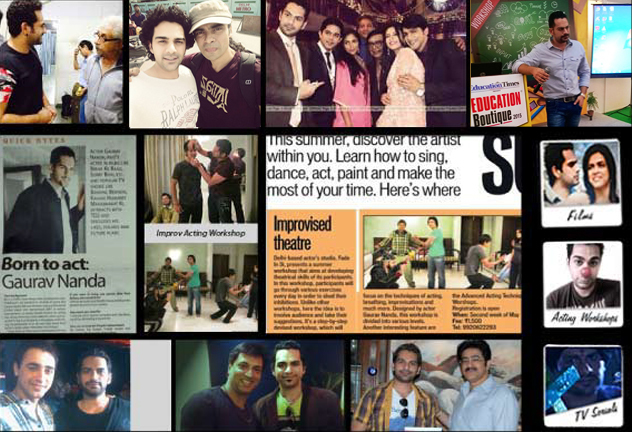 Through his experience and intense study of di erent method acting approaches and theatre techniques; he has discovered & explored ; various methods, to evolve his own techniques as an actor and a trainer; which is experimented and shared by his theatre company - Actor Studio India. He has been associated and a part of some of the Biggest Films, TV and Theatre Productions as an actor internationally . © 2008-2016. All Rights Reserved By Actor Studio India.